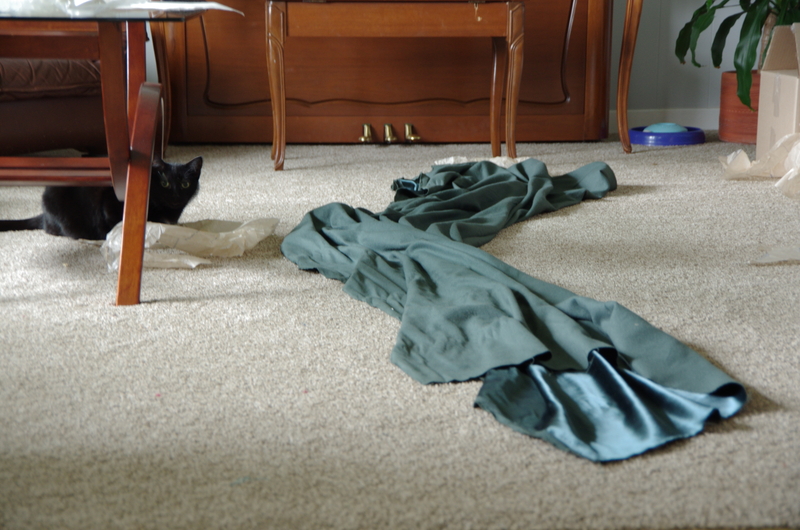 I guess, as a cat owner, I should know by now not to leave patterns and fabric laid out and ready to cut overnight! Fortunately Jazzy is gentle even when in the throes of mouse and paper hunting and nothing is ruined! Whew! Categories: Uncategorized | Tags: tissue patterns | Permalink. 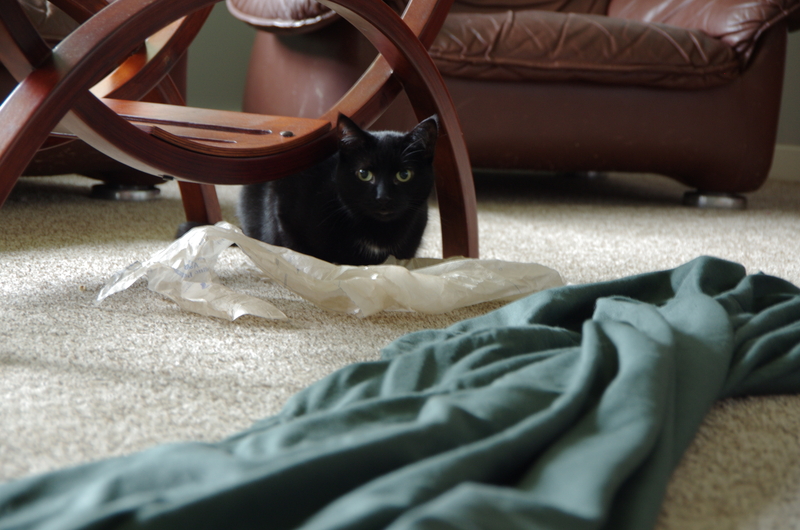 I remember a dear former cat who totally shredded an expensive Vogue pattern on me. Took a whole roll of tape to put it back together again but I was determined not to have to buy another copy. Needless to say I was much more careful after that episode! My cats like to shred all paper, including patterns 😦 I’ve learned the hard way.